1. The deadlines for payment of 2011 corporate income tax as prescribed in the Tax Administration Law will be extended for one (1) year for laborintensive enterprises or cooperatives which have incomes from production or processing of agricultural-forest-fishery products, textile and garment, leather and footwear, electronic components, or from construction and installation of socio-economic infrastructure facilities. In which: a/ Labor-intensive enterprises are those employing more than 300 regular laborers in 2011, excluding laborers under contracts of a short term of under three months. For enterprises organized after the parent companysubsidiary company model, the number of employees of the parent company does not include employees of the subsidiary companies. 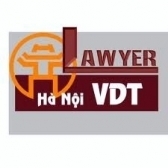 b/ Activities of production or processing of agricultural-forest-fishery products, textile and garment, leather and footwear and electronic components are specified in the Vietnam economic sector system promulgated together with the Prime Minister’s Decision No. 10/2007/QDTTg of January 23, 2007.
c/ Activities of construction and installation of socio-economic infrastructure facilities include construction and installation of water or power plants, power transmission and distribution works, water supply and drainage systems, roads, railways, airports, seaports, river ports, stations, car terminals, schools, hospitals, cultural and sports facilities, wastewater and solid waste treatment works, information and communication works and irrigations works for agriculture, forestry and fisheries. 2. Amounts of corporate income tax eligible for payment deadline extension specified in this Article exclude income tax amounts on other operations and incomes other than those from the operations specified at Points b and c, Clause 1 of this Article. 1. Corporate income tax amounts eligible for payment deadline extension specified in Article 1 of this Decision are payable tax amounts temporarily calculated for every quarter and remaining payable tax amounts according to the 2011 tax finalization. 2. Enterprises and cooperatives shall separately account incomes for operations eligible for tax payment deadline extension specified in Article 1 of this Decision. In case corporate income tax amounts on operations eligible for tax payment deadline extension cannot be determined, incomes used for calculating tax amounts eligible for payment deadline extension are determined as the proportion (in percentage) of the turnover of operations eligible for tax payment deadline extension to the total turnover of enterprises. In case this percentage is not yet determined, enterprises or cooperatives shall determine the percentage temporarily calculated and adjust it according to reality upon the 2011 tax finalization. a/ Period of tax payment deadline extension for tax amounts temporarily calculated for quarter I of 2011 ends on April 30, 2012.
b/ Period of tax payment deadline extension for tax amounts temporarily calculated for quarter II of 2011 ends on July 30, 2012. c/ Period of tax payment deadline extension for tax amounts temporarily calculated for quarter III of 2011 ends on October 30, 2012. d/ Period of tax payment deadline extension for tax amounts temporarily calculated for quarter IV of 2011, and payable tax amounts according to the 2011 tax finalization ends on March 31, 2013. 2. In case a tax payment date specified in Clause 1 of this Article falls on a holiday according to law, the period of tax payment deadline extension ends on the following working day. 3. For enterprises applying a corporate income tax calculation period different from the calendar year, the period of tax payment deadline extension is only applicable to tax amounts temporarily paid for quarters of 2011. 1. This Decision takes effect on November 30, 2011. For enterprises or cooperatives which declare and pay corporate income tax amounts eligible for deadline extension for quarters I, II and III of 2011 into the state budget before the effective date of this Decision, deadlines for payment of their payable corporate tax amounts on operations ineligible for deadline extension may be extended or they may have the paid corporate income tax amounts cleared against payable tax amounts of the subsequent tax period. 2. The Ministry of Finance shall guide the implementation of this Decision. 3. Ministers, heads of ministerial-level agencies, heads of governmentattached agencies and chairpersons of provincial-level People’s Committees shall implement this Decision.